Fulham are hopeful Ryan Sessegnon can play on Boxing Day after two games out with a groin injury. Midfielder Frank Anguissa remains sidelined and is not expected to return until the new year, according to manager Claudio Ranieri. Wolves are again likely to be without forward Diogo Jota, who missed the defeat by Liverpool because of a hamstring injury. He is Wolves’ only injury concern heading into the festive period. Fulham ended a nine-match winless streak in this fixture by beating Wolves 2-0 at home when the sides last met in February. This is their first Premier League meeting since March 2012, when Fulham recorded a 5-0 home win. Wolves have never won in four previous Premier League trips to Craven Cottage, losing twice. Burnley pair Johann Berg Gudmundsson and Robbie Brady both face fitness tests. The game is expected to come too soon for Steven Defour, while Aaron Lennon, Stephen Ward and Nick Pope are all still sidelined. Everton boss Marco Silva looks set to make changes following Sunday’s heavy home defeat by Tottenham, with Yerry Mina likely to be recalled in defence. Andre Gomes and Idrissa Gueye have been nursing injuries and will be assessed. Burnley have won three of their past four Premier League fixtures against Everton. The Clarets are looking to record three consecutive league wins over Everton for the first time since September 1959. Everton have lost three of their four Premier League visits to Turf Moor. Crystal Palace manager Roy Hodgson must decide whether to keep the same starting line-up as for Saturday’s impressive 3-2 win at Manchester City. Cheikhou Kouyate and Wayne Hennessey are expected to be available after injuries, while Martin Kelly’s fitness is being assessed. Cardiff pair Joe Bennett and Jazz Richards could return from injuries for the Boxing Day trip to Selhurst Park. However, Danny Ward remains out with an unspecified problem. Cardiff have lost three of their past four league games against Crystal Palace. This is their third Boxing Day meeting, with each side recording one win apiece. This will be the first Premier League fixture between two managers aged over 70. Man City will be hoping they can bounce back from their 3-2 home shock defeat to Crystal Palace last weekend when they travel to Leicester City on Wednesday afternoon. The Citizens can’t afford anymore slip ups as they start the day 4 points behind leaders Liverpool in the standings. They come up against Claud Puel’s side who are fresh from defeating Chelsea 1-0 at the Bridge and will be confident going into the fixture. Leicester will make a late decision on whether to give a second start in quick succession to Jamie Vardy, who has only recently recovered from groin problems. Manager Claude Puel has no fresh injury concerns. Matty James and Daniel Amartey remain long-term absentees. Manchester City will assess the fitness of midfielder Fernandinho, who missed Saturday’s defeat by Crystal Palace because of a thigh problem. David Silva and Vincent Kompany could again miss out because of injuries. Manchester City are vying for a fourth consecutive win against Leicester in the Premier League. Leicester have won just two of the past 16 meetings in all competitions, most recently at home in December 2016 when Jamie Vardy scored a hat-trick. It’s two defeats in three league games for City, as many as they had lost in their previous 61 top-flight matches. Manchester City could lose back-to-back Premier League away games for the first time since January 2017. The team in second place on Christmas Day has not gone on to be Premier League champions since Manchester United in 2007-08. They have won four successive Boxing Day fixtures, and eight of their last 10. Their only defeat in that run came against Sunderland in 2012. Pep Guardiola’s side have only kept one clean sheet in their past eight Premier League matches. 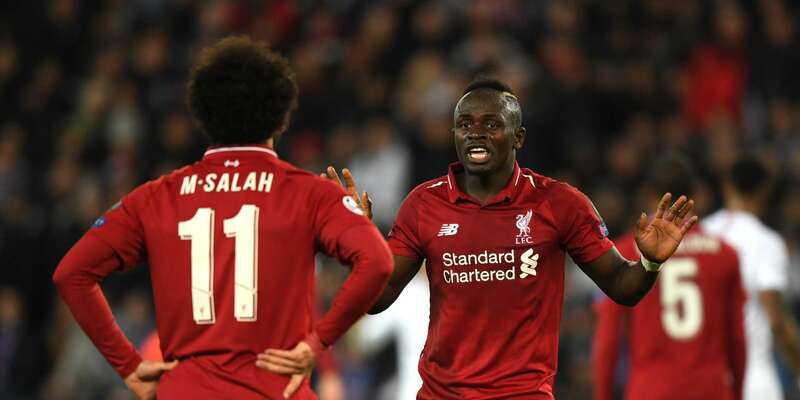 Liverpool will be out to maintain their 4 point lead atop the Premier League standings on Wednesday afternoon, when they host a Newcastle side that is desperate for points. The Kops have been magnificent since the start of the season and are still unbeaten going into the 20th of 38 games. For Newcastle, they start the day only 5 points off relegation and know they must start accumulating points as soon as possible to avoid slipping into the relegation. Liverpool full-back Trent Alexander-Arnold is set to be available following a two-game absence with a foot injury. Naby Keita is expected to overcome foot and rib injuries sustained against Wolves, but defenders Joe Gomez and Joel Matip remain sidelined. Newcastle’s Ki Sung-yueng is on international duty with South Korea, while fellow midfielder Jonjo Shelvey is struggling with a thigh problem. Ciaran Clark missed Saturday’s draw with Fulham because of an ankle injury. Federico Fernandez was included among the substitutes for that match after recovering from a calf injury. Liverpool are unbeaten in their last 22 Premier League home games against Newcastle, winning 18 and drawing four since a 2-0 defeat in April 1994. Newcastle have won just two of the past 10 Premier League meetings, both at home. Liverpool have won six successive games in all competitions. The Reds are unbeaten at home in the Premier League this season, winning seven, drawing one and conceding just twice. They haven’t lost a home league game on Boxing Day since a 1-0 defeat by Manchester United in the 1986-87 season. Mohamed Salah has scored 24 goals in 27 Premier League home games for Liverpool. However, if he fails to score against Newcastle he will have gone three home games without a Liverpool goal for the first time. Ole GunnarSolskjaer will be attempting to become only the 5th United manager to win his first two games in charge when his United side welcome Huddersfield Town to Old Trafford on Wednesday. The Norwegian former Red Devils striker got off to a winning start, blowing away Cardiff 5-1 away to Cardiff last Saturday and will hope to dispatch the Terries who are struggling at the wrong end of the table. Huddersfield sit second from bottom of the pile, having lost all of their last 5 games including a 3-1 loss to Southampton in the last game. Manchester United forward Romelu Lukaku remains absent on compassionate leave, while Alexis Sanchez is not expected to have recovered from a hamstring injury. Ole Gunnar Solskjaer will hope to have Chris Smalling, Marcos Rojo and Scott McTominay fit again. Huddersfield midfielder Jonathan Hogg could feature after missing Saturday’s loss to Southampton with a knee injury. Winger Rajiv van La Parra may also return after nearly three months out because of a back problem. Manchester United have lost just one of their past 14 games against Huddersfield in all competitions, winning 10 and drawing three. Huddersfield have not won an away match in all competitions against United since a 6-0 top-flight victory in September 1930. The Terriers have only scored four goals in the last 10 meetings in all competitions. Ole Gunnar Solskjaer is looking to become the fifth United manager to win his first two league matches in charge, emulating TJ Wallworth, Matt Busby, Dave Sexton and Jose Mourinho. His final competitive appearance as a player at Old Trafford was a 1-0 defeat against West Ham on the last day of the 2006-07 title-winning season. United haven’t lost a home league game on Boxing Day since the 1978-79 season, subsequently winning 14 and drawing three. Jesse Lingard has scored four goals in his last four games. Tottenham midfielder Dele Alli was substituted with a hamstring problem during Sunday’s 6-2 win over Everton and may not be risked on Boxing Day. Moussa Sissoko could be rested after playing all but seven minutes of the last five matches. Bournemouth manager Eddie Howe has no fresh injury concerns. Winger Ryan Fraser is pushing for a recall after being restricted to a substitute appearance against Brighton because of a minor calf problem. Tottenham are unbeaten in the league against Bournemouth, with five wins and a draw. Those matches have all been in the Premier League since the start of the 2015-16 season. Spurs have won all three home meetings in the Premier League without conceding. Bournemouth’s only victory against Tottenham came in their inaugural meeting – an FA Cup tie in February 1957. Arsenal returned to winning ways with a 3-1 win over Burnely on Saturday and will he out to make it 2 in 2 on Wednesday when they take on Brighton away from home. After a 22 game unbeaten run in all competitions, the Gunners have now lost 2 of their last 3 and will have to pick consistance if they are to stand a chance at top 4 this season. Their opponent comes in the frame of Brighton who have lost all of their last 3 league games including a 2-0 defeat at Bournemouth in the last game. The Seagulls have started to slip into the relegation dog fight and will want to get their season back on track as soon as possible. Brighton defender Shane Duffy is available after a three-match ban and will replace the suspended Lewis Dunk. Wingers Alireza Jahanbakhsh and Jose Izquierdo remain sidelined by injuries. Brighton ended a five-match losing streak in this fixture with a 2-1 victory in the most recent meeting nearly 10 months ago. The Seagulls have won each of their last three home games against Arsenal in the top flight. A fifth win in nine Premier League away games this season would ensure Arsenal surpass their points tally on the road for the whole of 2017-18. They could become the first team to score at least twice in each of their opening nine away games in a top-flight campaign. Arsenal have lost just one of their last 13 league fixtures on Boxing Day (W10, D2). The Gunners have scored an unrivalled 29 second-half goals in 2018-19. Pierre-Emerick Aubameyang is the division’s leading scorer this season, with 12 goals. He has scored 22 goals in 31 Premier League appearances for Arsenal, five more than any other player for the club after 31 games in the competition; Thierry Henry is next, on 17. Chelsea have been shaky of late, winning three of their last 6 League games. They lost 1-0 to Leicester City on Saturday and will be out to make amends when they visit Watford on Wednesday night. With the competition for top 4 so stiff, Mauricio Sarri and his charges know their is no room for error. Fro Watford, after a mouthwatering start to the league that saw them climb to the top at some stage, reality has sunk in in the last few months and now sit 7th on the log. However, they have been on good form lately, winning their last two fixtures including a 2-0 win away to West Ham last time out. Watford head coach Javi Gracia has no fresh injury concerns for the visit of Chelsea on Boxing Day. Injured quartet Will Hughes, Andre Gray, Sebastian Prodl and Adalberto Penaranda remain sidelined. Chelsea forward Alvaro Morata is back in full training after a knee injury and Blues head coach Maurizio Sarri is confident he will be fit to face the Hornets. Defender Andreas Christensen remains a doubt because of a hamstring injury. Watford’s 4-1 victory in the most recent meeting ended a 13-game winless run against Chelsea in all competitions (D3, L10). The Hornets have not won back-to-back matches against Chelsea since April 1987. The last four Premier League meetings have featured 21 goals. Chelsea have lost three of their last six Premier League matches, including two of their last three away games. They could fail to score in consecutive league fixtures for the first time since April 2016 under Guus Hiddink. The Blues are unbeaten in their last 13 Premier League games played on Boxing Day, winning eight and drawing five. They have kept four clean sheets in their eight away league matches this season. Eden Hazard needs one goal to become the 10th player to reach 100 for Chelsea. Southampton will be without midfielder Pierre-Emile Hojbjerg. The midfielder picked up his fifth yellow card of the season late on in Saturday’s 3-1 victory over Huddersfield and must serve a one-match suspension. Boss Ralph Hasenhuttl is unlikely to make many other changes after seeing his side win two matches in a row. Teenage striker Michael Obafemi will hope for more game time after becoming Southampton’s youngest ever Premier League scorer on Saturday. Meanwhile, Cedric Soares remains a slight doubt with a calf strain, while Ryan Bertrand is unlikely to return following a back injury. Fabian Balbuena and Javier Hernandez have joined West Ham’s injury list ahead of the trip to face Saints. Defender Balbuena suffered a knee injury against Watford on Saturday and striker Hernandez came off with back and hamstring problems. As well as Arnautovic’s fitness, Lucas Perez (foot) will be assessed after he picked up a foot inury that has kept him out since the win over Cardiff. Jack Wilshere, Ryan Fredericks (both ankle), Andriy Yarmolenko (Achilles), Carlos Sanchez (knee), Winston Reid (knee) and Manuel Lanzini (ACL) remain long-term absentees. Southampton have only lost one of their previous nine home league games against West Ham (W4 D4), with that lone defeat coming in February 2017 (1-3). West Ham are looking to win back-to-back games against Southampton in the Premier League for the first time since October 2001 (a run of four wins). After winning their first ever away game at Southampton in the Premier League (2-0 in November 1993), West Ham have won just two of 15 such games since (D6 L7). This match between Southampton and West Ham United will be the ninth Premier League match played on a Thursday since the start of 2016/17 – none of the previous eight have been won by the side playing at home (W0 D4 L4). Charlie Austin has never scored a Premier League goal on a Thursday (two games) but has scored on every other day of the week during his Premier League career. Should he score in his match, he’d be the 26th different player to score on every day of the week in the Premier League.